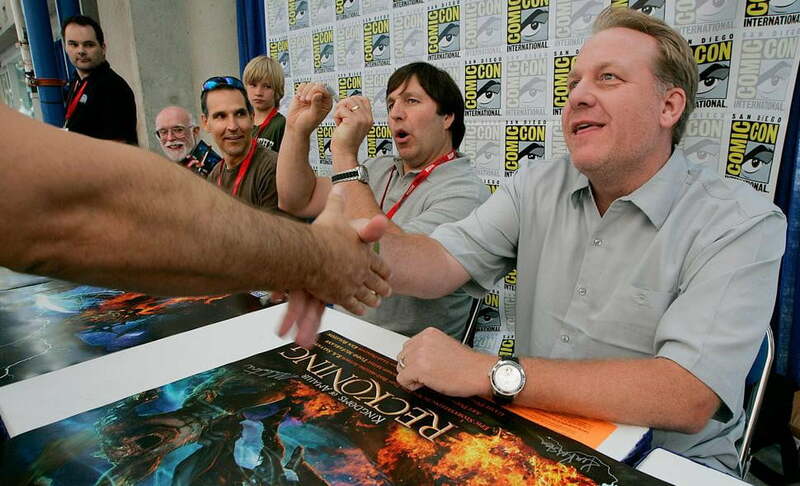 If you’ve been following the gaming industry over the past year, you’ll likely recognize the name “38 Studios.” The games developer, formerly known as “Green Monster Games,” was initially notable for being founded by former Major League Baseball star Curt Schilling (seen in the image above at right), but stumbled on more recent fame due to its spectacular public collapse. While we still await the results of official investigations launched into the firm by the state of Rhode Island and the FBI (the Rhode Island attorney general’s office recently announced that it would not pursue criminal charges against 38 Studios or its founders), the company’s assets are being sent to the auction block in an effort to raise money to pay off the $75 million loan the company received from the good people of Rhode Island. Though little information is publicly available on these items, intelligent speculation holds that these were the same Xbox 360 development kits used by 38 Studios in the creation of 2012’s Kingdoms of Amalur: Reckoning, and possibly any unannounced projects that 38 Studios may have had in the development pipeline. If you’re an average gamer, you might never have seen one of these development kits, as Microsoft tends to closely guard this technology. After all, owning one of these things means that a person is able to run unsigned code on the machine, thus opening up all kinds of opportunities for piracy or the creation of Xbox 360 software that makes the console behave in ways that Microsoft would really rather it didn’t. Thus, when news broke that these kits would be going on sale to what is effectively the general public, Microsoft jumped into action to retrieve the machines. Whether or not Microsoft has legal recourse to retrieve the kits is currently up in the air, but it seems quite likely that due to the trade secrecy of the information inherently contained within an Xbox 360 development kit, that the company could claim, in court, that the sale of such a machine to an unknown third party could theoretically impugn the company’s ability to continue doing business as it has been since the console’s launch. Of course, that’s for the lawyers to hash out, and regardless of the outcome, those of you living in Maryland or Rhode Island suddenly have a chance to score some cut-rate office equipment that was once used by a famous pitcher. Good luck.